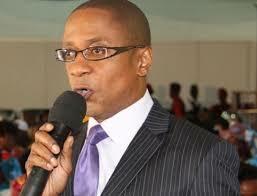 KAMPALA–Court of Appeal will today deliver its judgment in the election appeal filed by embattled Busiro South MP Peter Ssematimba against his political nemesis Stephen Sekigozi. Ssematimba went to the Court of Appeal, challenging a High Court decision that threw him out of Parliament. His election was nullified by High Court judge Lydia Mugambe in June last year on grounds of lack of academic qualifications. In her ruling, justice Mugambe faulted the National Council for Higher education (NCHE) for certifying Ssematimba’s diploma as an equivalent of the advanced level certificate without verifying its authenticity. Mugambe noted that Ssematimba would have presented to court copies of academic documents certified by the institute or admission letter to show that he attended the institute. She thus ordered NCHE to pay costs of petition to Ssematimba’s rival, Ssekigozi. Unsatisfied with the Court’s decision, Ssematimba through Muganwa, Nanteza and Company advocates appealed the ruling. He told court he had the necessary qualifications that he attained in the US, though, while trying to authenticate his awards, he was notified that the college had been closed in 1989 and yet it had an obligation of keeping the records. It’s this appeal on which court is to give its judgement today.